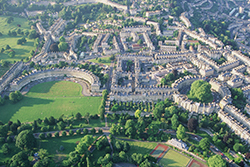 A stay at Abbey Mews gives you the opportunity to enjoy Bath as the Georgians meant it to be – a pleasure resort of unrivalled elegance and charm. 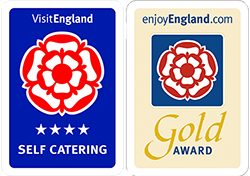 Awarded the special ‘Gold’ by VisitBritain – Quality in Tourism, you could not find a better self-catering holiday home accommodation in the historic heart of Bath. Rates vary for the length of stay as well as number of persons, but always include all taxes and utilities. There is a two night minimum stay on weekends with a 3 night minimum stay on holiday weekends. There is a two night minimum stay on weekends. There are Special Discounts for Long Stays , Late Availability and the quieter months of January & February. Note too, that even Greater Value that can be gained by visiting mid-week (Monday to Thursday). There is a 2 night minimum stay. Contact Kate for our special rates for 9 or 10 persons. Please select your dates, or call Kate now on +44 (0) 1225 446037 to find out if we can book you in.